Now, while this picture might be a little hard to look at it is not exactly what it seems. Do you see the animal hiding in this illusion? 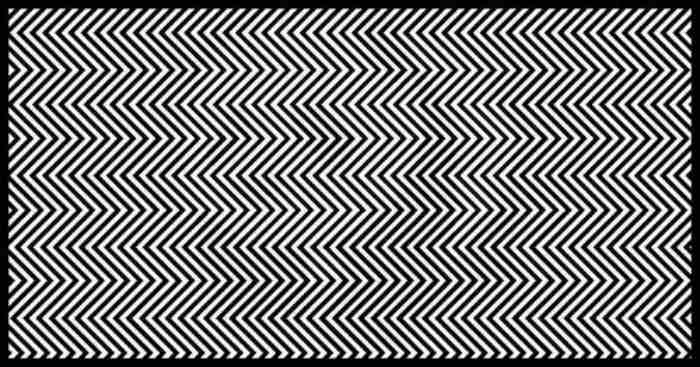 Chances are, looking at the image below you see a whole lot of lines and it might even seem to be slightly in motion. While some people will notice the animal quickly others will struggle for sometimes hours on end before finding it. This illusion is known as “They Can Disappear” and was revealed by Russian artist Ilja Klemencov. You might think it only consists of black and white zig zag lines, but there is a lot more to it than that. If you can see the animal, props to you, but if you aren’t there yet, don’t despair. Everyone can see the animal hidden in the picture you just need to know how to look at it. 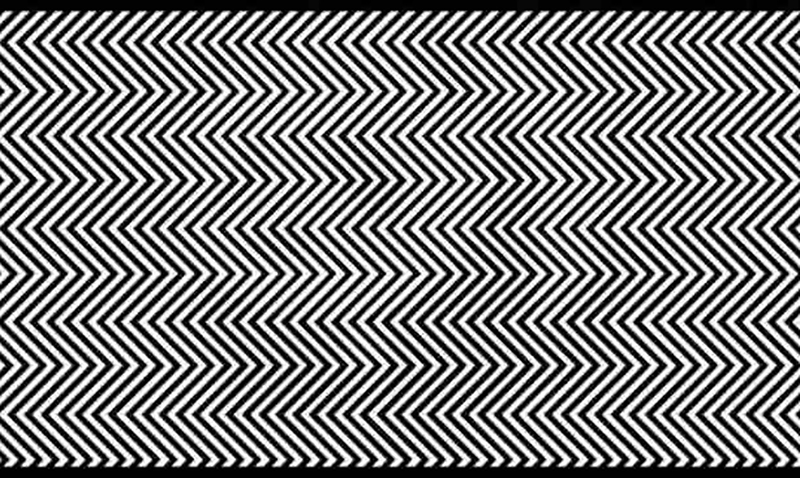 Some people need to squint, remove their glasses, or just look at the image from a slight distance before they can actually see the Panda. If you can’t see it, no worries! Hidden inside the picture is a panda. The illusion was created to bring focus to the plight of the panda with the damage being done to the population. The hidden image is actually used by the WWF in their logo. The panda in the wild is losing its habitat with this becoming a huge threat to what is one of the most beautiful creatures in the world. According to News.com.au, it all depends on how your brain sees things. Sometimes illusions do a better job of tricking some people’s brains than others. It just depends on the person and how their eyes work as well as how their brains work. Were you able to see the Panda hiding in the picture? Remember, the more you strain, the less likely it will become that you will see the panda. Good luck!